About eight years ago, we had the same thought, though we knew almost nothing of boating and ownership, other than we had fun when we went out on some friends’ boats. 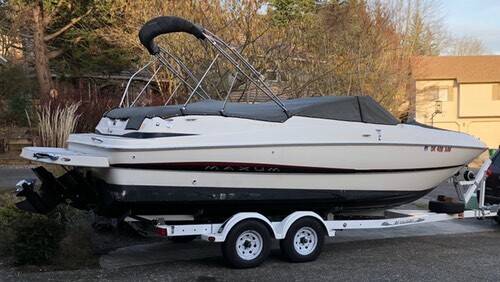 With some friends of ours (a family of four with similarly-aged children), we went looking for a family boat that would handle at least 10 people, have plenty of space for everyone to relax, and be capable of towing various water toys for the kids. 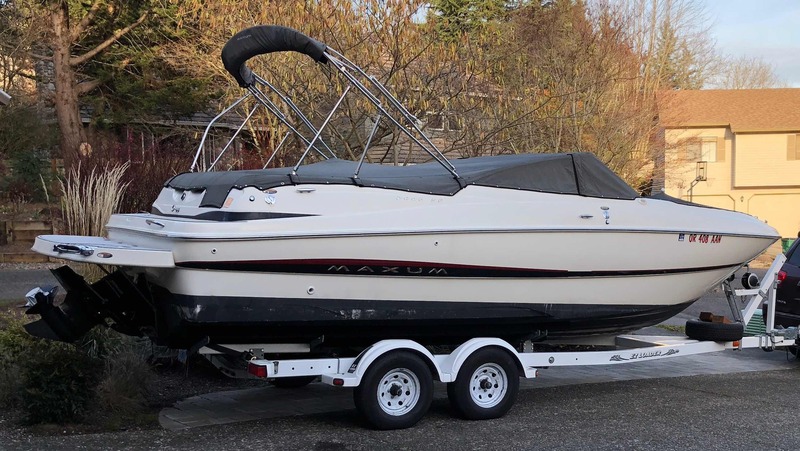 One of the things we had trouble finding before we bought our boat was information on actual real-world costs: Just how much money will you spend not just to buy, but to use and maintain a power boat? 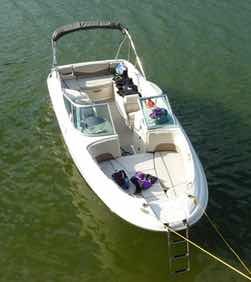 To help others who may have similar questions, I’m going to share our actual costs from seven years with our boat. If you’re thinking of getting into boating, perhaps some of this cost information may be useful. I’ll have more to say on the road trip in a future write up, but thought I’d take a minute to share some photos I snapped during the journey. None of these are edited at all; I haven’t had the time; they’re all direct from the camera, my Nikon D5500 (though there is one iPhone panorama). First, in Reno, I stumbled across this fantastic exhibition of classic cars. Although it was really warm out, it was well worth walking through this collection of gorgeous cars. There was a bit of everything there—true classics, kit cars, semi-modern cars, and even a few race cars. In all, it was a great trip, and hopefully we do well in league this year and get to go back again next year! For those not aware, I have something of an addiction to portable power packs—with two kids and who knows how many devices, it seems someone somewhere is always out of power. 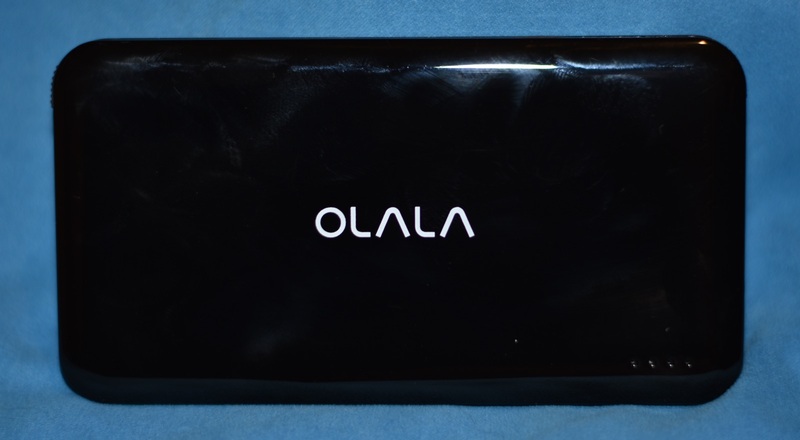 For the last few weeks, I’ve been testing an addition to our stable of such products: Olala’s $32 10,000mAh Power Bank.1I received the Power Bank at a greatly reduced cost, but my review is based solely on its performance and my impressions of its build quality. I’ve long been fascinated by massive engineering projects, whether they be for ships or tunnels or skyscrapers…or in this case, a bridge. 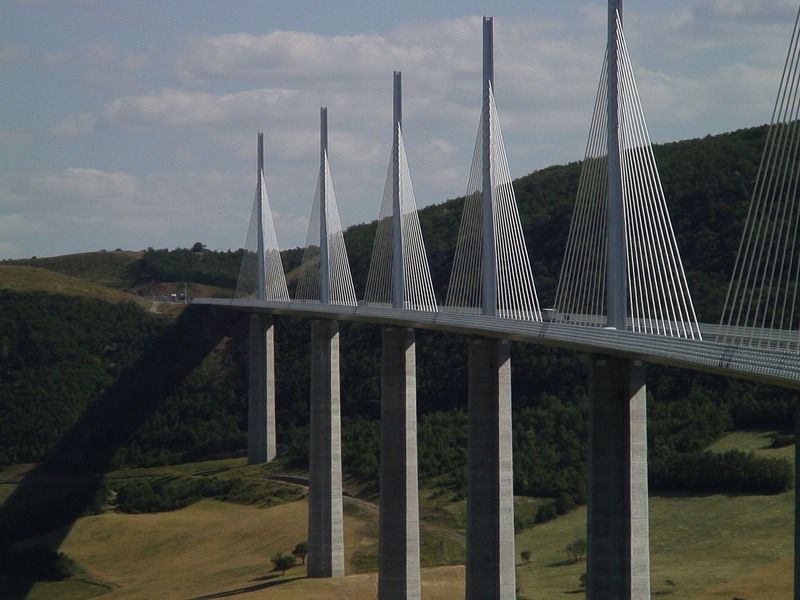 The Millau Viaduct is an amazing structure in the south of France; it spans a deep and wide valley with incredibly tall pylons and an elegant design. Just amazing what they did to get that bridge built—and without a single worker injury of any note, despite working hundreds of feet above the ground for four years. The Many Tricks company is somewhat unique, as we’re a two-person multi-national organization: I’m based in Portland, Oregon, and Peter Maurer, my business partner, lives in Germany. We’ve met in person a few times—a couple of times at WWDC in San Francisco, and once in Portland (just after we relaunched the company in 2010). So this time, it was my turn to travel, and in April of 2016, I set out for Germany for a couple weeks. 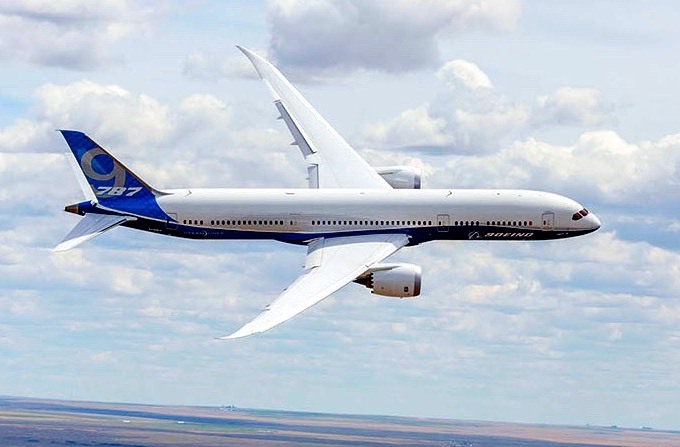 Being something of an aviation freak, though, I couldn’t book just any flight to Germany: I wanted to fly on Boeing’s newest jet, the 787. I started with the Airport Spotting site’s 787 routes page, which tries to list all 787 flights. I then searched for flights that would get me close to my destination, on my schedule, and meeting my budget. 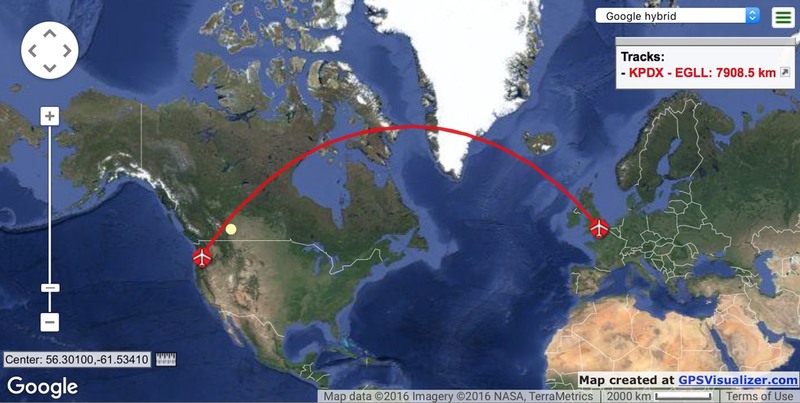 And as it’s not possible to fly direct from Portland to Europe (at least, not on a 787! ), I’d be flying somewhere else first anyway, so why not Calgary? Things were complicated a bit by the difficulty of getting to Calgary—I had to fly through Seattle first (welcome to the hub-and-spoke system). So my travel day was going to be Portland > Seattle > Calgary > London > Basel > Freiburg. Total travel time from my door to Peter’s door would be about 22 hours, which makes for a very long travel day. I have traveled through a fair number of airports in my lifetime, but the EuroAirport is the strangest one I’ve ever been in. (I was there because it’s the closest major airport to Freiburg, Germany, where I was working with Peter, my Many Tricks business partner). 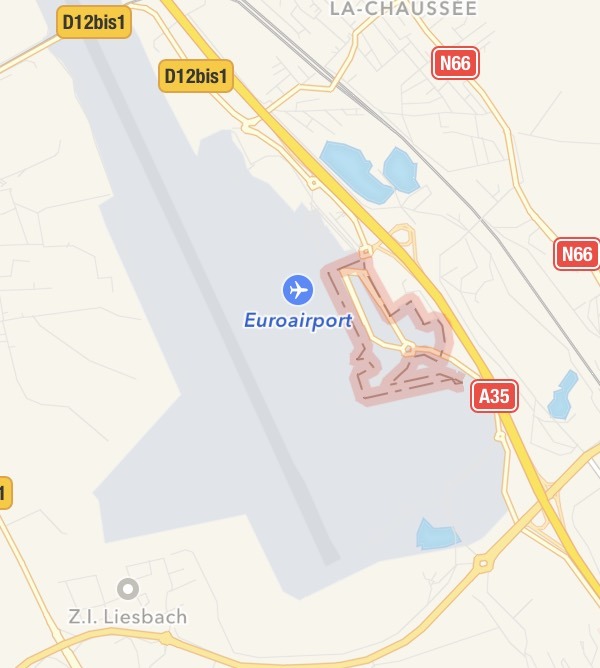 The EuroAirport isn’t strange due to layout or location or weird weather or anything. It’s strange because the airport itself is split between two countries, even though it doesn’t straddle a country border—it’s 100% within the territory of France, but a portion of the airport “lies in” Switzerland. This oddness is a result of the airport’s development history: Basel, Switzerland wanted an airport, but lacked the space. France had the space near the town of Mulhouse, but lacked the money. The two countries agreed to a joint development effort, starting just after World War II. The end result is an airport in France, paid for by Switzerland, and with portions of the airport physically being in Switzerland, despite the airport’s location completely within France. I spent the last three-ish weeks on the east coast, visiting family along with various tourist sites. We flew in and out of Dulles International Airport, via a direct flight (oh wow, they still exist!) from/to Portland. If you’ve never been through Dulles, it’s an interesting airport—though a bit less interesting now than in the past. 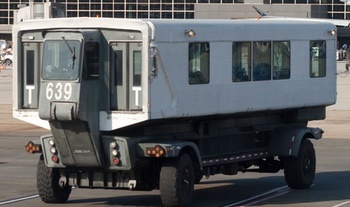 In the past, you entered the main terminal, cleared security, and then boarded a bus (a two-headed elevating bus, similar to what’s seen in the image at right, often with tails on top to help them be seen from the control tower) to one of the outlying buildings holding the actual gates. Now most terminals are served by a train system, or via a walkway. 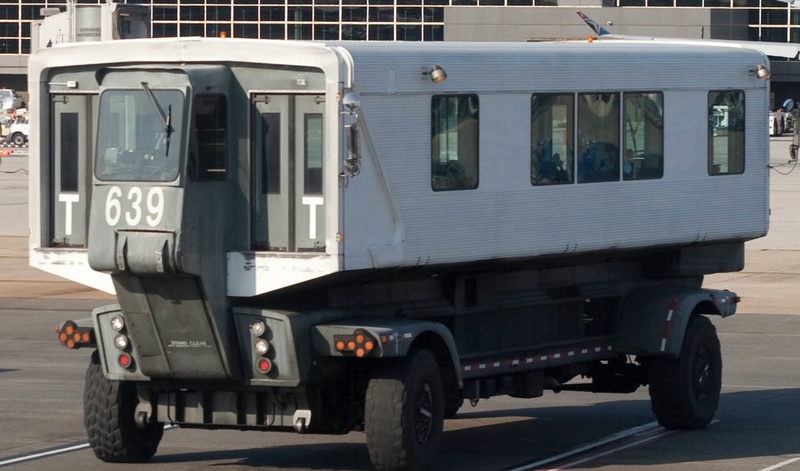 But Concourse D is still accessed via the bus, and that’s where we were set to fly out. It was just me and my kids for the flight home; my wife had returned a week earlier. We arrived at the main terminal about 90 minutes before departure. After clearing security, we were headed for the bus to Concourse D when I happened to check a departure sign…and discovered that our flight was delayed for 50 minutes. Ugh. The Concourse D building at Dulles isn’t one of the nicest places to wait, especially with kids (it can be noisy and hard to find space to relax). But I didn’t really want to head back through security either. Standing there near the entrance to the shuttle busses, I spotted a sign for “Z gates,” which I’d never heard of before. So we headed down that way, just to see if we could find somewhere quiet to pass the time before boarding the shuttle bus. What we found was a wonderful, nearly deserted oasis of peace and quiet right in the heart of Dulles. 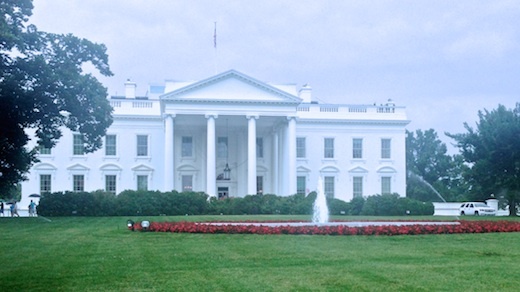 Last winter, our family decided we’d head to Washington, DC for our summer vacation. With our kids being 11 and eight, we figured they’d be old enough to appreciate some of the history and sites in the area. One thing I remembered from my youth was a White House tour, and I thought it’d be fun to take our kids on the same tour. Needless to say, things have changed quite a bit since I toured many decades ago. I don’t recall the setup details from my youth (as my parents handled that), but I assume security was somewhat less stringent. 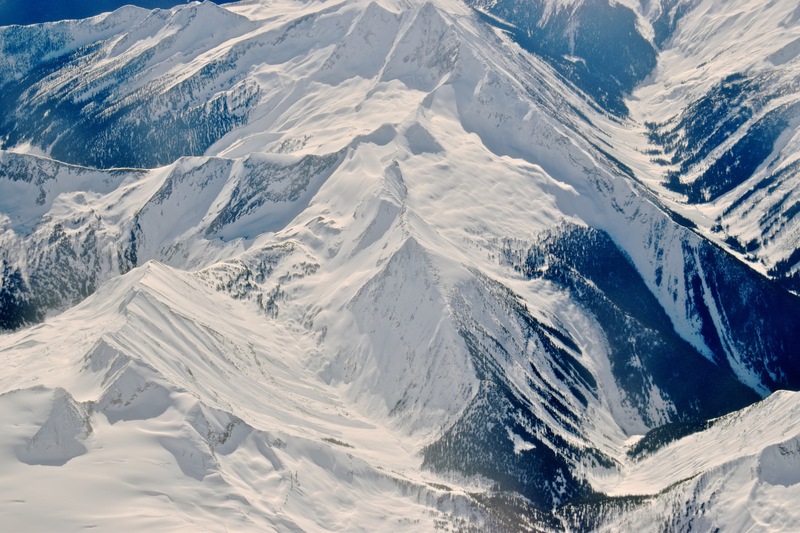 On our flight home from Denver last week, our 10-year-old daughter had the window seat. 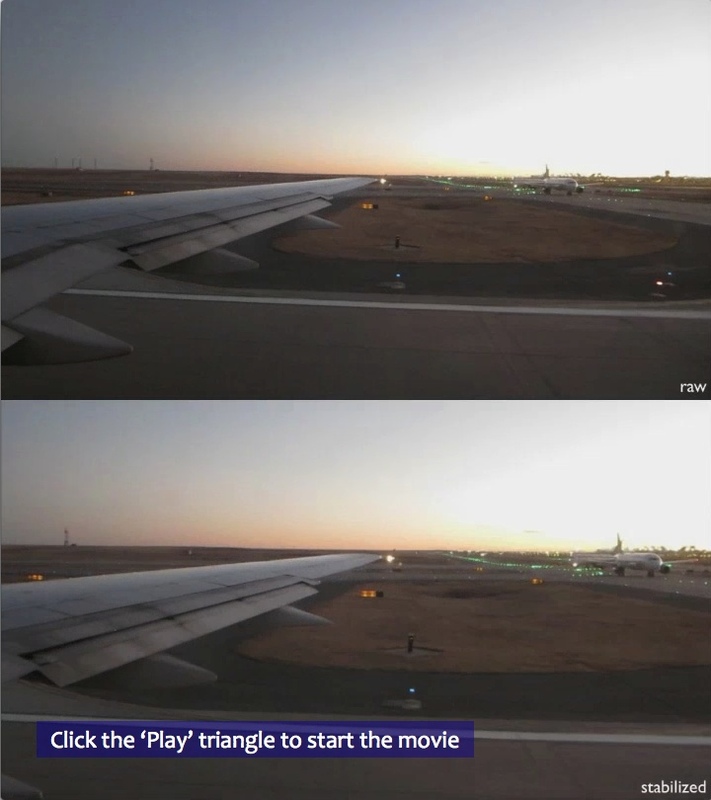 So I asked her to record the takeoff (using a Canon pocket cam with 1920×1080 video). I gave her no tips (she’d never tried this before), other than to minimize any reflections off the window and to try to keep the camera steady. At first glance, the changes are nothing short of extraordinary. The raw video is almost unwatchable in spots, due to the extreme camera movement. The stabilized video, while jumpy in those same spots, is infinitely more watchable. There are some tradeoffs, of course, to get this stability.